Dr. Faranak Taheri offers patients customized nutrition plan to help them stay on track and reach their wellness goals. Call or schedule an appointment at My Chiropractic Doctor, in Tysons Corner, Virginia to learn more about strategies for maintaining a healthy weight. We provide specific recommendations on nutritional supplements and healthy food choices to enhance our patient´s return to optimal health. Do you know which supplements and vitamins are good for you? Do you know how these supplements and vitamins interact with one another? Our Team of providers can provide a structured nutritional plan based on your individual needs. Please click on “Advanced Slim & Trim” to find out more about different services we recently added to our Nutrition & Weight Loss program. At our office, we also utilize the My-Lipo Procedure to help patients manage their weight. For more information, please see the questions below. My-Lipo comes equipped with 4 or 8 pads, enabling maximum results from each treatment. Depending on the area of the body receiving treatment, it is recommended that between 2 and 4 treatment pads are used at any one time over each treatment area. The pads are free moving and held in place against the area to be treated by an adjustable strap. During the treatment, the pads are held directly against the skin for maximum effect. Treatments last for a period of up to 20 minutes and the recommended number of treatments in any course of My-Lipo is two per week, thus completing a full inch loss course over a 4 week period. After treatment, exercise is essential to create the demand for energy which can now be met by the temporarily released fat, completing the inch loss process. How does My-Lipo work to shrink the fat cells? The light, 635nm emitted from My-Lipo causes the fat cell membranes to temporarily alter the permeability of the cell. This brief change allows the fat contents to seep out from the cell into the interstitial space from where it can be processed by the lymphatic system. After being released, triglycerides are broken down into free fatty acids and glycerol and enter the blood stream. Once in the blood stream, some of the free fatty acids are readily available to be used as fuel by the body during exercise or what is not consumed as energy will get to the liver where it will either be oxidized or re-processed for storage. My-Lipo is simple to use, hygienic, quick and effective. My-Lipo is safe because it uses LED in the visible spectrum (635nm) to stimulate our cells to be more efficient and accelerate the rate of naturally occurring processes. There are no known negative side effects to this day. The My-Lipo pads do produce a warming sensation, but currently, there has never been a case described where a patient has been burned or harmed in any way. The safety of My-Lipo Light Therapy technology makes for ease of operation and the practitioner can be trained to use the device in a relatively short period of time. What kinds of Weight Loss results are produced? Individuals have lost anywhere from two inches to six inches over a course of treatments. To maximize the chances of your clients responding, three things are important: as a rule, sick clients should not be treated… wait until the condition has improved. Hydration is critical, drink plenty of water (ideally at least 8 glasses of 8 oz of water) spread out throughout the day while diuretics (coffee, alcohol, etc.) are discouraged. The lymphatic system should be mobilized. Post-treatment exercise is essential. The client must be encouraged to be active and burn 350 calories every day during their choice of cardio exercise. Individual results vary and are not guaranteed. What do patients do to maintain the fat loss? After treatments, exercise is essential to create the demand for energy which can now be met by the temporarily released fat, completing the inch loss process. After the recommended intensive 4 week course, the client can follow one of two treatment paths: return for a weekly maintenance treatment at the salon (max 2 per month) or focus on another body area for a new intensive 4-week treatment after 2 weeks. I felt Itchy after a 20-minute My-Lipo treatment. The client may be a little heat sensitive. Sometimes if we get too hot we can get prickly heat (heat rash) which will cause itchiness. This may last a couple of days. The suggestion is to reduce the treatment time to 17 minutes and build it up to the full 20 gradually over the course of treatments. It may be their monthly cycle or medication possibly making them heat sensitive and more prone to heat rash and itching. So if it’s unusual for them to itch, it’s worth asking is anything different? It could simply be an increase in a medicine dose. Reducing the treatment time may be all that’s needed while their bodies adjust. What is the difference between the Lipo-Light and My-Lipo? The pads are the same on the My-Lipo and Lipo-Light. At present the My-Lipo is more powerful than the Lipo-light this is due to the age of the designs. My-Lipo is the latest design and therefore, more powerful. This has to do with the pad drive circuits in each of the main units. What creates the heat in the pads? The electrical heat generated by our drive electronics creates the heat. We drive our LEDs in a very different way from others that’s why we get the heat. We do not use a heating coil. How does My-Lipo create inch loss? The light and heat emitted by the My-Lipo target the mitochondria in each cell, this causes a charge on the cell wall and a temporary change in cell shape. The change releases a lipase enzyme which breaks down the triglycerides (fat) into fatty acids, glycerol, and water. This is then released from the cell into the interstitial tissue and then into the lymphatic system for use as energy. This must then be used via some form of exercise. It is like releasing the water from a grape which then shrinks to a raisin, i.e. this is where the inch loss occurs. The BIG thing that the My-Lipo is doing is releasing fat from a targeted area, wherever the client wishes to lose fat. This is body sculpting in a completely safe and natural way, all the My-Lipo is doing is photochemically tricking the body into releasing its fat stores in a specific area. This is a natural process called lipolysis and occurs after about 20 minutes of exercise your body starts releasing lipases enzymes from the major organs, (heart, liver brain etc.). 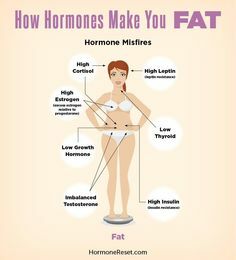 The major difference is that this affects cells all over the body so you don’t see a change as small amounts of fat are released all over the body. This is the real advantage of My-Lipo it can release fat from the treated area within 20 minutes. There is also the skin tightening effect of collagen and elastin stimulation so what the client ends up with is specific inches lost in a targeted area with improvements in the texture and tone of the skin due to the stimulation of collagen and elastin. Can a patient receive treatments every day or how many times per week should patients schedule sessions? Patients should schedule sessions 2-3 times a week. How long do typical results last? As long as the client exercises and burns the released fat the results should last. However, if the client is not exercising, drinking water, or trying to maintain a healthy lifestyle the results will come back.